These templates are created with your art direction. We start with a simple design and add your desired elements. We make changes and alter it until you are happy with the image. We then produce the sheets or the electronic file and use them at your event. Predesigned templates are very effective. 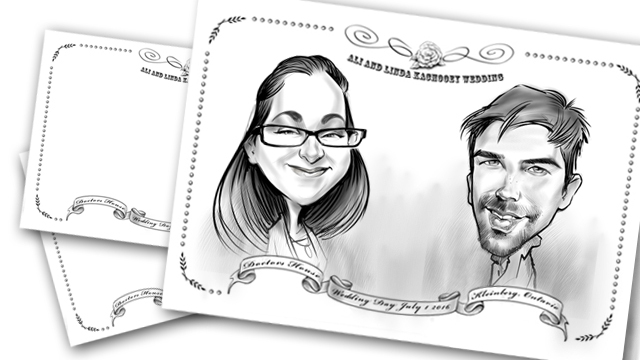 Your brand, marketing message or personal wording/images will be included in every drawing the guests take home. These drawings will be kept in offices, homes and schools and so do your impression.